For the third year in a row, the Dodgers have a maddening double-personality. They have two extremes – Sometimes they’re the steamroller and sometimes they’re the steamrolled. Which are they really? This is a good one Oscar. 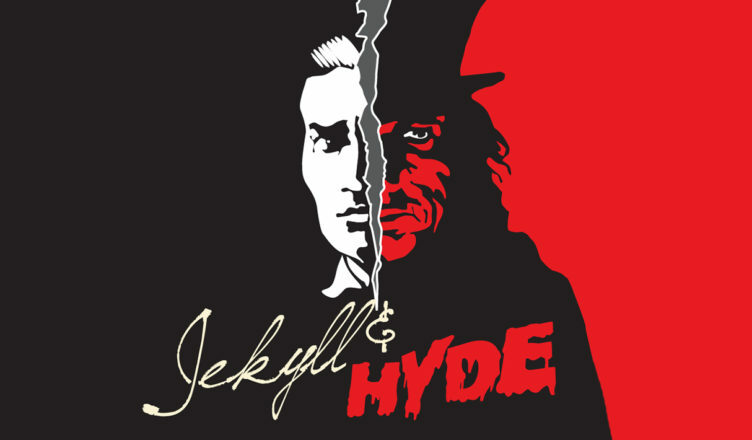 Jeckyll and Hyde. This game does not have to be as hard as they make it. Don’t sit the hot bat. Play the youngsters more early in the season. When the pitcher is cruising, don’t take him out and overtax the bullpen. Pitch around or simply walk the hot hitters on the other team and let their other guys beat you. Control the swing and make contact to bring home that run from third when there is less than two outs. Etc., etc. Overall, a very disappointing series in St Loo. No excuses, this is a total team meltdown. Nothing worked. They could have won 2 of the 4 and blew leads. No reason to panic, but plenty of reasons to be concerned. The starting pitching, which is supposed to be the teams strength, fell apart. Buehler even looked pedestrian. The bullpen flamed out and the offense was once again offensive, as in it was not fun to watch. Good news was Pederson’s resurgence the last couple of games, bad news was the pen, and Corey Seager getting plunked just when he seemed to be coming out of his slump……………..question? When is a good time to voice concern over the total lack of production from Chris Taylor? There is really no replacement at the AAA level. I’ve seen all I want of Taylor. He had one outlier year. He’s like Vanilla Ice. Ice Ice Baby. Remember Armando Gallaraga? Yea, barely. Buster Douglas, Derrick Cope. The Knack. One hit wonders. I think I would have moved him and taken my chances with Miller. Taylor is a utility player. Just find another one. Seager gets hit with an 85 mph slider and has to leave? What he made of? Cotton Candy? Rub some dirt on and get back in there. Yeah, that series stunk the stank of the nothing in all or…. You are right about Seager and there are others who are just plain babies. Badger – was thinking the same thing about Seagar. The pitch hit him on the leg. Orel told him to rub it, but he didn’t make it out for the next innings. Very strange. That was a terrible defeat yesterday. Never seen Wacha that bad, but unbelievably Ferris managed to out do him. To score 7 runs but still lose takes some seriously bad play, but I think it maybe the wake up call some of these guys need after the euphoria of our opening home stand. I wonder how long we will see Rocky for, before Smith or KBear get the call? I’m good. Thanks for asking W.
I’d go with Smith. His stats at AAA are better than Gale’s. As you know, I am not a big fan of Joc’s but I will say he started out red hot and I was rooting him on and guess what? Dummy sits him just like he did Kemp and the kid goes cold, then the kid has finally started to regain his form and I bet you Dummy will sit him again? I agree, sit Mr. Taylor until he can hit again. Now is time we need Duke Snider! MLB is so watered down now, these games virtually are meaningless. 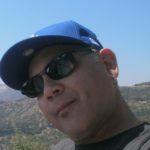 And when all is said and done after this series in St. Louis, Baez and Garcia, the 2 biggest gas cans in the history of mankind are still in this BP and the puppet Roberts will bring them into games continuously no matter what, probably from direct orders by the FO…. No doubt they will be used Paul. Baez’ FIP and WHIP are decent and Garcia has struck out 8 in 6.2. His problem remains command. He needs work to work it out. I think he will, but if he doesn’t show improvement soon he may be outta here. I am not sure we know every thing about Kershaw’s health. He was shelved on Feb. 22 and will not return until April 15. That will be 51 days to get into pitching shape and we do not know what kind of shape that is. We all know he is not right and they are in no hurry to get him out there. You would think he would begin early knowing the problems he has had to get ready for the season. I think Kershaw is in worse shape than we know right now. I am anticipating a lot of downtime for him this year. He may not finish his 3 year contract. Just my thought. The Skid continues… five games and counting. Once again, starting pitching is a no show. Urias barely makes 5 innings. “The Jansen and Kelly Show” once again fails keep the opponents at bay allowing the Brewers to add two insurance runs. Kelly is showing his true colors… a less than average reliever, and poor Jansen will never be the lights out closer he once was. The three run cushion was too much for the hapless offense to overcome. The Dodgers continue their non-productive hitting streak…. 4-13 RISP, 11 LOB. Three solo HR’s, that was basically all they had. They cannot continue to leave all these runners on base. The Dodgers had Burnes on the ropes all night, and they could not take advantage of a wild Hader. Dodger offense just could not finish them off. I don’t have much confidence in the strong return of the injured Kershaw, Hill, and Ryu, so if nothing is done soon, they will lose the WS trophy again. Too early to say anything conclusive, but it would appear we aren’t yet ready to beat the better NL teams. That could change quickly. If memory serves, this is similarly to how we started last year. I’m not worried yet. About the team as a whole that is. I am concerned about Kelly. His numbers were there to examine and it appears Friedman read them differently than I did, or how the Red Sox did for that matter. He doesn’t command well, and electric as it is you can’t miss spots within the strike zone the way he does, and always has according to his numbers. An 8th inning guy, which is what he’s paid to be, with an ERA at 4, a K/9 of 7 and a walk rate of 3.64/9 is not worth what he’s being paid. He’s also 31, which for a reliever may not be that old, but he’s owed another $20 mil after this year, and that’s if we buy out his last year. This could very well be another awful signing by the Dodgers. Or Honeycutt can fix him. if i was manager i would tell the front of you no where you can go….fire me but i am running the team….Dave dont need the money …have some balls. You are right, DR is just what the FO wants, a “Yes Man”. As long as he does what the want, he has a guaranteed job. It is survival, just like any other job in Corporate America. The upper echelons are mere puppets, who are loyal soldiers and thus rewarded for their loyalty. DR is a good man, and I am sure he knows the game well. Think of the “Great Managers” who would not be controlled by puppet strings. I wish DR could be man enough to tell FO where to shove it. He is just too good a guy, and I can respect him for that. As long as FO controls this team, they will have a hard time claiming the ultimate prize…. Sorry Fans, but it is what it is. Yes Badger, DR has done well with what he has to deal with and work with, but it is just not good enough to get this team to “The Promised Land”. Also, the “Big Dollar” guys talk a “BIG” game, but cannot deliver.